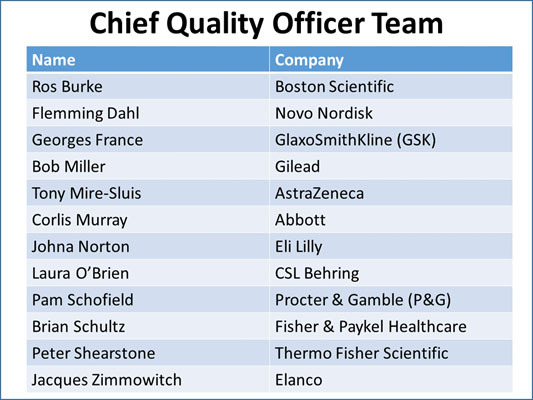 A team comprising a dozen chief quality officers (CQOs) representing the medical device, pharmaceutical, animal health, and consumer healthcare industries is pooling its collective experience and wisdom to redesign the role of quality in the 21st century, with input from the FDA and other regulators. Research showing that companies in these industries continue to make the same mistakes, despite programs in place to generate corrective and preventive action plans (CAPAs), has driven this team of senior quality executives to completely re-examine their quality models. This retrospection is enabled by conversations with regulatory agencies indicating that they are open to new models in which quality is more integrated with other business functions. 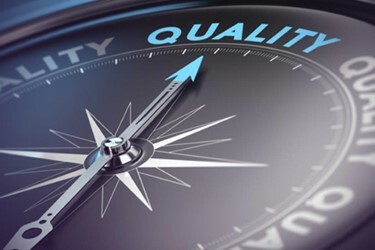 The concept of a quality culture that must be embedded in the organizations and the potential for the quality role to transition from one that oversees to one that mobilizes enterprise-wide quality effectiveness. Xavier Health director Marla Phillips assembled the CQO team in April 2018. The team makeup was consciously designed to get the most thorough, in-depth thinking and solutions from industries where quality departments operate similarly. Phillips explained the importance of each element of the definition. “Business success is an important element, because if we do not have a successful business, then we do not have a product. It used to be thought that, if Quality was aware of the business, then there would be pressure to release unsafe products -- it was considered to be a conflict of interest,” she continued. “However, quality can affect business success by removing obstacles to innovation while ensuring systems are in place to strive for right the first time, ultimately reducing risks to the patients we serve." The team also discussed the need to be agile and to proactively keep pace with innovation. Understanding the goals and metrics of cross-functional peers will help inform quality regarding what they are trying to accomplish, as well as identify areas of conflicting priorities and areas of synergy. “The last piece is regulatory intelligence. We believe that, no matter what the role of quality in the future could be, it will probably still involve the quality organization bringing regulatory intelligence into the organization,” Phillips maintained. A panel of the CQO members present at the March conference — including Procter & Gamble Global Quality Assurance VP Pam Schofield; Elanco Global Quality VP Jacques Zimmowitch; AstraZeneca Global Quality Head Tony Mire-Sluis; and Gilead Quality Senior VP Bob Miller — discussed the team’s progress to-date. Procter & Gamble’s Schofield discussed the challenge of maintaining quality across the lifecycle of a product, from development through new iterations. “Most of our products are global. There are many market regulations that literally change on a daily basis. We are getting pressure for innovation and agility. With all of those constraints, it is really challenging to ensure end-to-end functional groups or disciplines stay in tune with those expectations,” she said. She stressed the importance of ensuring that knowledge is preserved and transferred and internalized by everyone from R&D through manufacturing. “I view quality as the backbone of that. We are in each of those places with our partners, but we need to be one with the knowledge,” Schofield said. The CQO team also discussed how to involve cross-functional end-to-end peers in each of their companies. Procter & Gamble has formed teams in each of its business units, collectively called “the seamless technical community” and comprising individuals from R&D, manufacturing, and quality. “We are trying to drive that knowledge. We are also developing a digital system to help. It cannot replace the knowledge, but it certainly can be an enabler to having knowledge captured. We need a way to capture the data and access it so that we are not redoing things over and over again, but so we have the knowledge and are building forward,” Schofield explained. The CQO forum is discussing how each member company is doing this and how they can benefit from sharing their efforts. Elanco’s Zimmowitch pointed out that, in some companies, R&D and manufacturing exist as silos. The challenge, and an area the CQO team is looking at, is how to remove that variability. Schofield noted that P&G faced a similar situation in terms of portfolio diversity and the transformation of its quality management system a few years ago. Third, industry tools and the way companies look at data and information “have not really evolved at the same pace as our needs in the past 15 years. Our needs today are far beyond the classic Excel spreadsheets being used in a lot of places to manage complex information,” Zimmowitch said. Thus, Zimmowitch asked his development team and IT group to explore text and cognitive analytics as a solution. He noted that the proof-of-concept phase, applying the process to the pharma space, showed that trends and root cause could be identified — in some cases — in hours or minutes, “when the manual human process was taking weeks, at best, to perform the same identification.” Elanco plans to implement the system worldwide. “I think there are opportunities to be more proactive and efficient and detect performance shifts or drifts in spaces such as complaint management root cause analysis, pharmacovigilance, environmental monitoring, or anywhere where we manage tons of data,” Zimmowitch said. AstraZeneca’s Mire-Sluis focused his discussion on the rapid pace of change and barriers that may be presented by available work force, regulators, and suppliers of software solutions. “At our company, we were talking about electronic batch records. Everybody, we think, wants electronic batch records. It is going to save loads of signatures and loads of paper. But when we talk to some pharma manufacturing operators, they tell us, ‘I like my paper. I can follow it. It is not scary,’” he said. The lesson, Mire-Sluis said, is to understand that not everybody embraces technology. In addition, “Our industry may not have a workforce that is capable and willing to work in areas that involve automation, electronic systems, advanced analytics, artificial intelligence, etc.” This type of change requires time, education, socialization, engagement of those impacted, and lots of communication. Further, “if we are going to have some new technology that needs approval, how do we partner with the regulators to make them comfortable with some of the new technologies? They are not in our factories; they are not working with that technology,” Mire-Sluis said. Mire-Sluis also pointed to the CQO team’s efforts to create university-level minors, majors, and undergraduate degrees in quality. Miller also noted how difficult the quality role can be. “Someone once said to me, ‘When a quality person comes into a meeting, they are not coming in to give good news. It is usually because something has happened, and we need to talk about where to go from here.’ That becomes a tough job,” he said. “People use it as a springboard to go somewhere else. It is great for us if they go somewhere else, because they take the quality mindset with them,” but we also need some to stay in the organization as quality professionals. Other skill sets the quality professional of the future may need include teacher, mentor, and root cause analysis specialist, which Miller characterized as very specific skill sets. He maintained that succession planning will be very important in the quality organization, specifically because of the skill sets that will be required. The CQO team’s future plans include continued reexamination of the role of quality, alignment of cross-functional metrics, identifying critical HR processes to support sustainable and impactful change, and creating the next generation of quality professionals, Phillips reported. Graduate students serving the team are looking at the top three metrics tracked by quality’s cross-functional peers. The students are looking for commonalities, areas where a quality metric might shut down a metric that a cross-functional peer is trying to achieve, and vice versa. They also are using the exercise to inform quality about what is important to its stakeholders. The dialogue continues at the FDA/Xavier MedCon conference April 30 – May 3, 2019 at Xavier University in Cincinnati. CQOs presenting on their efforts and available for networking include Georges France, VP & Global Quality Lead, GSK; Corlis Murray, Senior VP, Quality Assurance, Regulatory and Engineering Services, Abbott; Brian Schultz, VP of Quality and Regulatory Affairs, Fisher & Paykel; and Peter Shearstone, VP, Global Quality Assurance and Regulatory Affairs, Thermo Fisher Scientific. Jerry Chapman is a GMP consultant with nearly 40 years of experience in the pharmaceutical industry. His experience includes numerous positions in development, manufacturing, and quality at the plant, site, and corporate levels. He designed and implemented a comprehensive “GMP Intelligence” process at Eli Lilly and again as a consultant at a top-five animal health firm. Chapman served as senior editor at International Pharmaceutical Quality for six years and now consults on GMP intelligence and quality knowledge management and is a freelance writer. You can contact him via email, visit his website, or connect with him on LinkedIn.